Hyaluronan or Hyaluronic Acid (HA) is a ubiquitous constituent of extracellular matrix (ECM) and, because of its excellent intrinsic biocompatibility and chemical or enzymatic modification versatility, has been widely employed in a multitude of biomedical of biotechnological applications. In this interesting article from Serban et al. they will investigate the approaches used to tailor Hyaluronan (HA) to specific needs of tissue engineering, regenerative and reconstructive medicine and overall biomedical research. 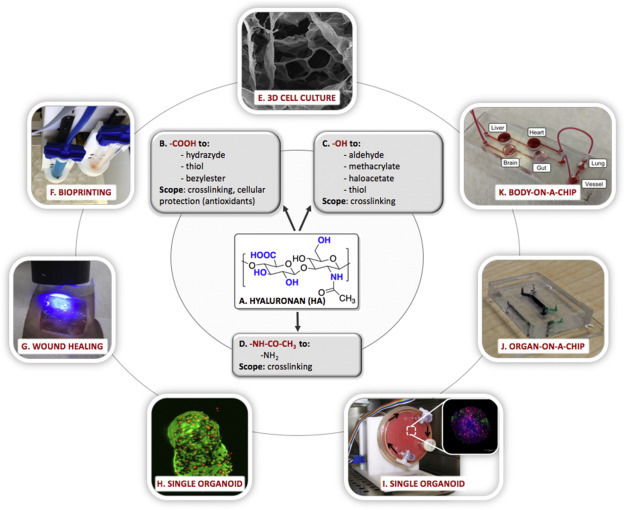 They will also describe recent examples of applications in these broader areas, such as 3D cell culture, organ-on-chip, bioprinting, organoid biofabrication, and precision medicine that are facilitated by the use of Hyaluronic Acid as a biomaterial. Interesting in our BIOMIMESYS® hydroscaffold for 3D cell culture ? Find information on our site and feel free to contact us !